Florence Meena is a 2014 AVC Volunteer. 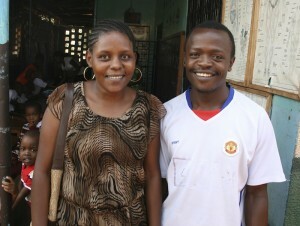 She is currently teaching at Step Up Center in Moshi. I signed up to Volunteer with AVC because I wanted to develop my skills in teaching and early childhood development. I am also inspired that being a Volunteer answers my longtime dream in life of working to make our society better. I have been volunteering with Step Up Center for 5 months now as a teacher. I teach 3 subjects: English, Arts and Crafts, and Swahili. 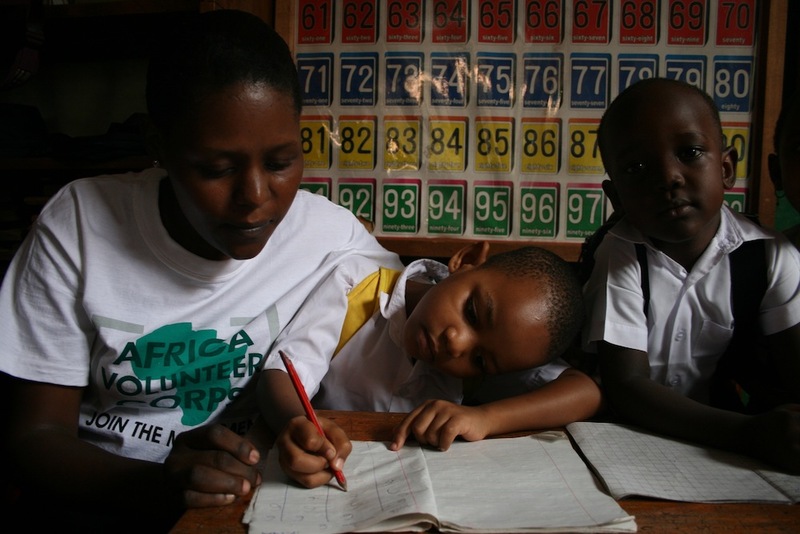 As a Volunteer, I have learned that my teaching skills are of great use to my community. It is important to me to have the time and energy to help. I teach preschool and kindergarten students. It is essential that kids learn basic numeracy and literacy skills at this age. Students who can’t read and write struggle. Without these skills you can’t progress in school or get even the most basic jobs when you are older. If children enter primary school without the ability to read and write, it is very hard for them to catch up and do well. When I started at Step Up Center in January, 3 of my 20 students did not know how to read or write at all. Some of the children don’t even know how to hold a pencil when they first come to the center because they don’t have the help they need at home to learn these skills. This is especially an issue for orphaned children and I see this happening in the community. I try to spend extra time with students who need help with reading and writing. My 3 students are showing great progress and are doing much better. 5 months ago they couldn’t read or write anything, but now they can read and write the alphabet and they know their numbers up to 50. I love children and teaching. AVC has helped me get experience and improve my skills while doing what I love. It means a lot to me to be able to work with children and help them gain the skills they need. I still hope to learn many more things that will help me in my teaching career.